As reported earlier, 2014 has seen the worst Ebola outbursts in history. Recent escalations of the outbreaks and spread to other countries like Nigeria has finally prompted the World Health Organization (WHO) to declare the Ebola situation a Public Health Emergency of International Concern (PHEIC). The report is meant to raise more awareness to the deadly threats the virus pose to international security and prompt rich countries to take action before its too late. Although we’re dealing with the worst Ebola epidemic in history, with several outbreaks affecting central African nations like Liberia, Nigeria or Guinea, it’s amazing that only two organizations are actively involved in containing the virus on ground. One is Samaritan’s Purse, and the other is Doctors Without Borders. Both organizations, despite their best efforts, have their resources strained to the limit and can only do so much. This has prompted WHO to declare the state of emergency, only for the third time since the new International Health Regulations (IHR), a global agreement on the control of diseases, were adopted in 2005. The previous two instances were in 2009, for the H1N1 influenza pandemic, and in May for the resurgence of polio. 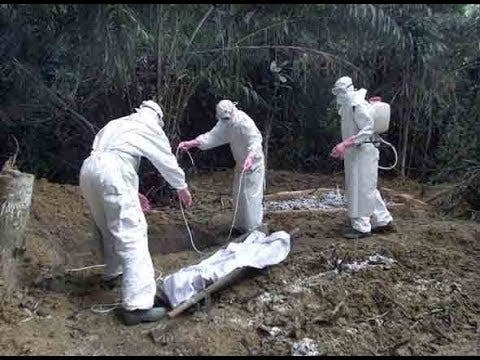 So far, 1779 cases and 961 deaths were reported since Wednesday (notice the massive fatality), yet some warn that these numbers may be largely underestimated considering many of the infected go on unreported, while the deceased claimed by Ebola are buried in secret by family, who at their own turn become exposed to Ebola. Things aren’t looking good at all. “Our epidemiologists and medical personnel believe that these numbers represent 25 to 50% of what is happening,” Ken Isaacs, a vice president at Samaritan’s Purse. The same Isaacs was openly critical of both WHO and the international community during a hearing of the U.S. House of Representatives’ Subcommittee on Africa, Global Health, Global Human Rights, and International Organizations. Isaacs was disappointed that the Ebola emergency was declared so late, when outbreaks in Nigeria could have been averted if the alarm was sound earlier, and that considerable attention to the matter was given only after two Ebola patients were found to be US citizens. Whatever’s the case, the situation at the moment is critical and no containment efforts should be spared, else we might have to deal with a veritable calamity in the central Africa that threatens to spread. At the same conference that PHEIC was declared, the committee responsible for the alarm also issue a series of recommendations. Ebola infected countries should adopt a highly strict entry-exit policy. All people exiting the country should be screened via questionnaires and thermometers for any Ebola symptoms. 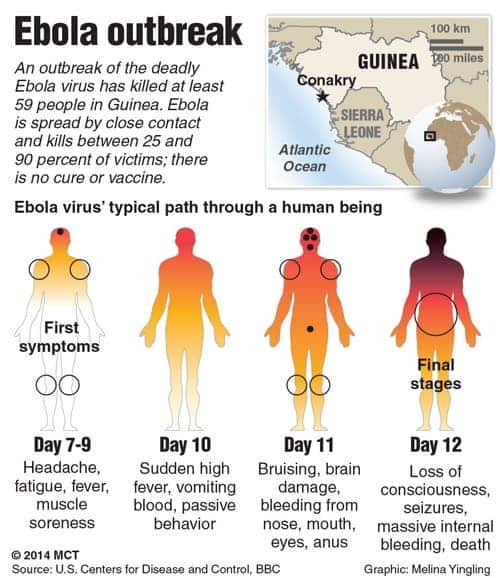 Anyone displaying Ebola symptoms should not be allowed to leave the country. The same applies to people who had come in contact with Ebola patients. These should be diagnosed and watched for fever for at least 21 days.